Another read just perfect at this time of year, and especially in this year’s weather. It’s winter and the land is flooded. The rain is unceasing, rivers have burst their banks, lanes have turned into rivers, meadows into lakes. Sound familiar? But if you’re cold and fed up and worried about logistics, fantasising only about a fortnight in Antigua, step into Lucy Boston’s magical world instead. Tolly, born in steamy Burma, is sent for the Christmas holidays to stay with his as-yet-unknown great-grandmother at her ancient family house, Green Knowe. This is a story where all the dividing lines are ambiguous, not just those between water and land. 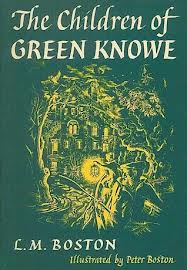 The magic of Green Knowe is not the ‘ordinary’ sort with wands and spells and wishes, it’s this permeable, malleable divide between present and past, real and imaginary, animate and inanimate, wild and tame, inside and outside, myths and ghosts and people. It’s also a book that is suffused with the love that seems to radiate out from Mrs Oldknow: love of home, of animals, of dear people and old dear objects. And in her and the gardener, Boggis, it has two heroic characters who are far from young, perhaps because Lucy Boston was in her 60s when she began writing. As Tolly explores he sometimes feels lost and alone, and encounters genuinely terrifying aspects to the place, involving walking trees and old curses. In fact, Green Knowe is based on Boston’s own beloved house, The Manor, Hemingford Grey, in flood-prone Cambridgeshire, built in the 1130s. It’s not a huge house, but the water all round makes it seem like an island, a castle. On his arrival, Tolly has to be rowed up to it across the flood. Then deep snow falls in time for Christmas, and Tolly and his great-grandmother make a very long walk to attend the midnight church service. It’s unusual to have a hero as young as seven in a book of this kind, and Tolly’s stamina and independence (we first meet him travelling across country alone by train) feel quite strange to the 21st century reader. I’m not sure how realistic it was even for the mid-20th century child. This is another world (see Narnia) which wouldn’t be the quite same to me without the striking original monochrome illustrations by Lucy Boston’s son Peter, which enhance the uncanny aspects of the tale. 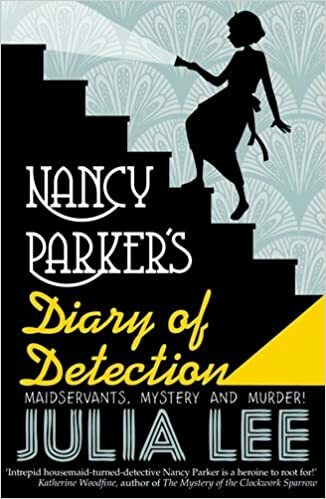 One of my favourite passages is the enchanting scene where Mrs Oldknow butters Tolly’s hands and shows him how the wild birds come down to feed from them. This would have been quite magical enough for me as a child – my ideal was to be like Dickon from The Secret Garden – but I didn’t discover this book until I read it to my own children. I’ve yet to catch up with other books in the Green Knowe series, but I have two more waiting on my bookshelf.